One forgotten sacred Jedi text from the Expanded Universe may have just re-entered the canon, and it’s safe from Yoda’s book-burning madness. Rian Johnson took to Twitter on Friday to seemingly offer up another defense for his use of Luke Skywalker’s Force-powered astral projection in Star Wars: The Last Jedi. In the process, he might have just re-canonized The Jedi Path — or at least parts of the real-life manual for Jedi that talks about the advanced Force technique called “doppelganger” or similfuturus. 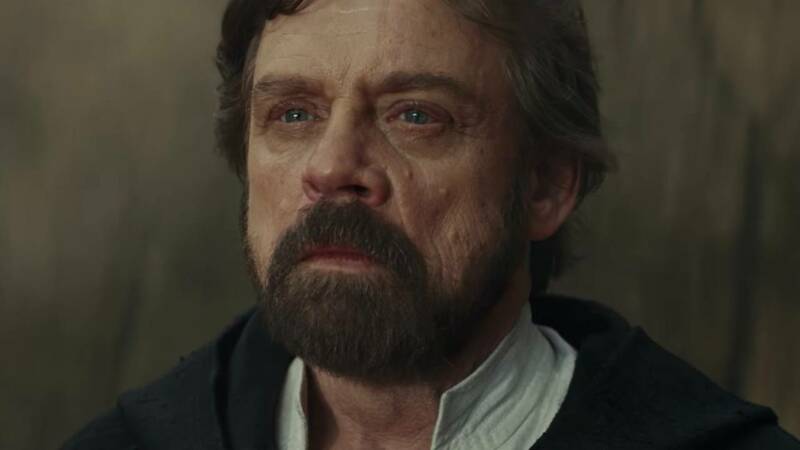 Luke opted for "younger with a darker beard, haircut, and blue lightsaber" instead of "virtually indistinguishable from the real item," but the definition holds. The particular book featured, The Jedi Path: A Manual for Students of the Force, was written as just that: a manual for Jedi initiates. It’s sort of an in-universe merchandising grab not unlike the original Fantastic Beasts and Where to Find Them book published in association with Harry Potter. The real-life version of this book was actually published in 2010, which means it’s part of the huge portion of Star Wars content rendered non-canon when it was rebranded as “Star Wars Legends” by Lucasfilm in 2014. Rian Johnson may have re-established just a little bit of The Jedi Path as canon in The Last Jedi, but that make the rest of The Jedi Path canon, too? Not really, and you wouldn’t want that to be the case. This is a book that also includes a Force power called “Art of the Small” that allows a Jedi to shrink their “Force presence” to the size of a single atom. Rian Johnson is probably pointing all this out in such a cheeky way because some fans have been disgruntled with the many new Force powers presented in The Last Jedi, among other seemingly unconventional choices. Johnson’s already on record defending his various creative choices with The Last Jedi. In this case, Johnson didn’t invent the wheel — but he did reinvent it by offering up his own spin. The Last Jedi opened up new ways for Star Wars filmmakers to define what’s possible with the Force, and with this lightly sassy response from Rian Johnson, he’s effectively telling all his haters to back off in the coolest way possible.